Chattanooga, Tennessee, and Wilson, North Carolina are asking the FCC for help in sidestepping muni broadband laws in their respective states. Last week, we talked about municipal broadband (Internet access provided by a local government or public utility), and how some states and politicians are making moves to block such access from existing or expanding. One of the referenced utility companies (Chattanooga, Tennessee-based EPB) already has a muni broadband network established in its home city, but Tennessee state laws are hindering the expansion of the network. Now, EPB has taken its FCC petition filing from "thinkin' about it" to "that JUST happened," and they are not alone. 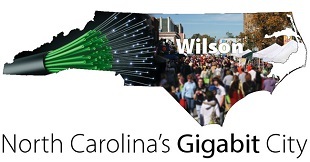 Both Tennessee's EBP, and the city government of Wilson, North Carolina have filed petitions with the FCC regarding municipal broadband. In the case of EPB, the utility wants to expand its existing network out of Chattanooga and into the surrounding rural areas. Wilson's representatives are seeking similar approval for the Wilson County "Greenlight" network, as residents outside the network area have repeatedly asked about expansion plans. In both cases, the municipal networks are bringing service to a population that has either limited access to broadband, or no access at all. In many cases, those local residents asking about network expansion aren't seeking an alternative to Comcast or Big Telecom -- they just asking for access, period. EPB's broadband service map shows exactly why network expansion is such a high priority. Both Vice and the EPB talk about the "digital desert" outside of Chattanooga, a region where fast broadband Internet access is hard to find. "We have just received the petitions filed by EPB of Chattanooga and the City of Wilson, North Carolina and are reviewing them," said FCC Chairman Tom Wheeler to Vice in an emailed response. "We look forward to a full opportunity for comment by all interested parties, and will carefully review the specific legal, factual, and policy issues before us." You can read EPB's FCC petition here.